The MK14 (1978) was the first computer by Clive Sinclair’s company, at that time called “Science of Cambridge”. 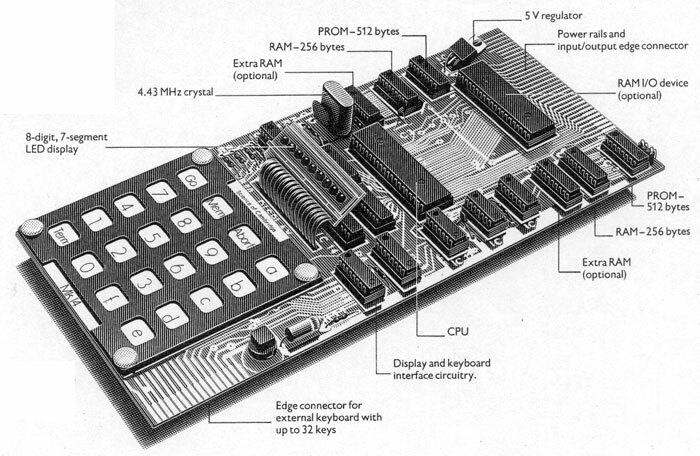 It was a very crude single board computer with an even more obscure CPU – a National Semiconductor SC/MP. It had a really beautiful drawing of it in an ad. Apart from its historical value the interesting part for me is that although it is reported that between 10000 and 50000 pieces shall have been sold, I never saw one one Ebay in the 13 months I looked on Ebay. That is, until recently. It sold for 520 Euros. However, it is very strange that so few of these machines appear on Ebay if the production numbers are correct.